With the world’s population expanding hospitals are busier than ever and it is vital that they provide treatment as quickly as possible to prevent inpatient back-up. A medical workstation on wheels is necessary to provide quick efficient care within our hospitals. The amount of people that enter and exit a hospital on a given day is staggering. This leads to busy hallways and cluttered rooms with loved ones of those being admitted. Customized medical workstations on wheels are available to fit every hospital and guarantee optimum functionality within your facility. Modern technology is changing the way workstations function. Materials being used to make medical carts are lighter, and suppliers are improving maneuverability every day. 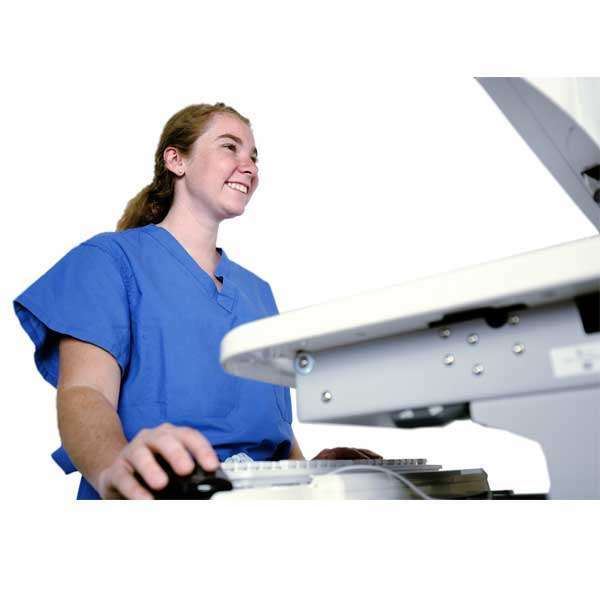 A lighter easy to maneuver workstation ensures that medical professionals do not need to exert any additional effort outside of their normal responsibilities and can pay more attention to their patients. Having a medical workstation on wheels allows medical professionals to have their supplies with them at all times and issue treatments immediately without delay. Workstations contain everything a professional needs including medication, gloves, sanitary products, and computers. Stations with portable computer services are changing the way hospitals check patients in and access medical records. Computers on workstations have full-sized keyboards for ease of data-entry, and a longer battery life than a tablet or other device. New requirements for all patient information to be kept on online databases make medical workstations on wheels even more essential for hospitals to utilize. A nurse can enter all information collected during evaluation immediately into the database decreasing the load of paperwork within a hospital and making our hospitals greener. 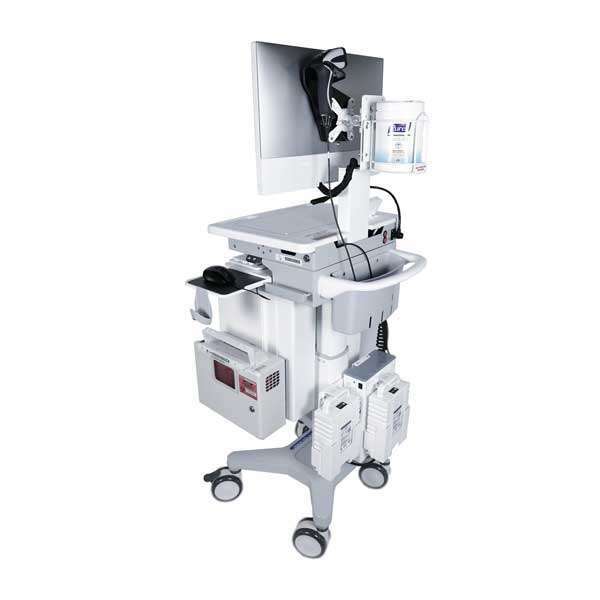 For hospitals, there are a variety of different types of medical workstations on wheels available on the market. Anesthesia Carts include lock options on their drawers to guarantee dangerous medication is stored safely. IV Carts allow for quick insertion and removal of IVs while holding substantial amounts of supplies. Crash Carts are typically used in emergency situations, and Beside Carts have a removable upper portion so nurses can leave food or other necessary items with the patient. Within hospitals Point of Care Carts, or POC, are important because they include computers with pull-out keyboards and wireless batteries. This type of medical workstation on wheels is most important for imputing patient information into the online database, and an asset when it comes to diagnostic testing. Sometimes a workstation may become damaged from intense daily use. Our company provides medical maintenance and repair workstation warranties so that your cart can get back to work in no time. Our warranty covers you for 60 months after delivery and will repair all parts that were a part of the original cart. Carts are designed to be highly durable, but damage does happen from time to time. To get the most out of your cart make sure to provide regular maintenance so that issues with your carts do not occur when they are needed most. 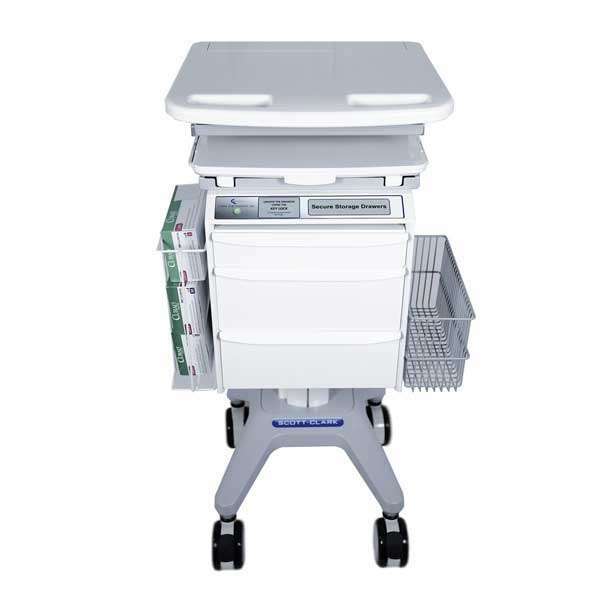 A medical professional with a medical workstation on wheels can treat their patients efficiently and stress-free. Patients can be in a vulnerable place during treatment, having all necessary equipment on hand will put their mind at ease and let them know they are in good hands.